My children made these as well. After they were finished I wanted to change the wording but they are done and so it stays. 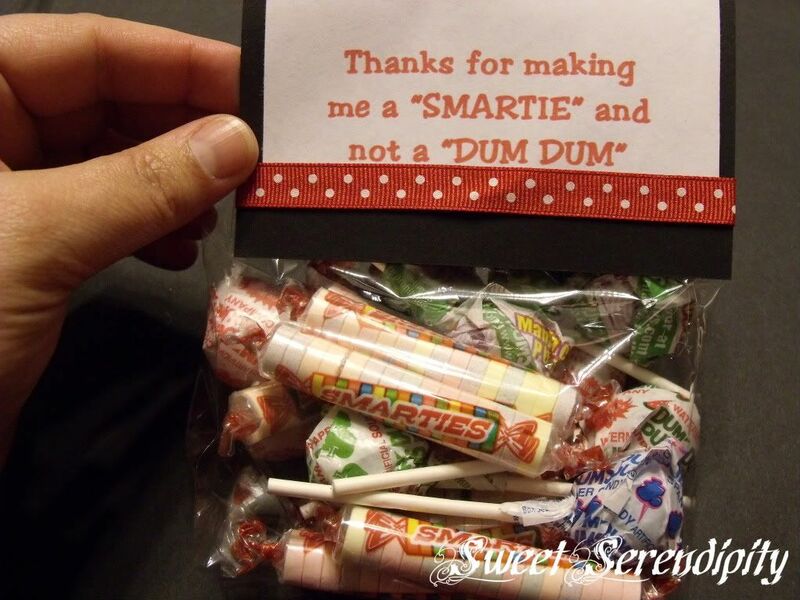 To make these bags you fill a clear bag with smarties and dum dums fold the top of the bag over and staple it shut. Add the bag topper using double sided tape. To make the bag topper I printed out the saying on the computer using word and cut it out and then mounted it to black card stock(I cut the card stock the exact width of the bag and then folded it into half) with double sided tape. I added the ribbon to the bottom of the saying with double sided tape folded in half. I adhered the whole thing to the top of the bag using you guessed it double sided tape.